But in this moment, I’m enjoying Orienpet lily ‘Silk Road’ from B &D Lilies. I cut this beautiful stem so that I could enjoy it up close and personal throughout the day. The fragrance fills the rooms of my main living area but is not overpowering after a couple of days. How about you? 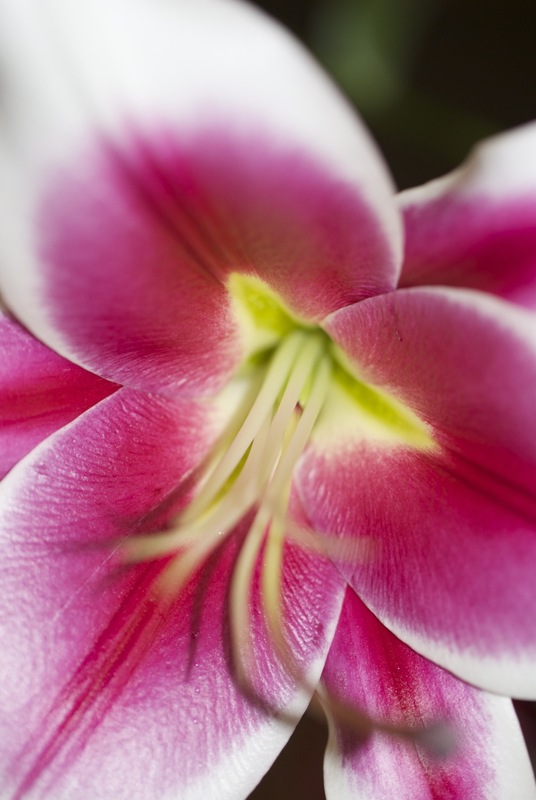 Do you love lilies? Andrea I have this beautiful lily but they have not bloomed yet…soon I hope as the earlier lily blooms are finishing. Oh, it is such a nice one and so fragrant and tall! Absolutely beautiful Andrea!! 🙂 I love Oriental Lilies but have not tried the Orienpet Lilies yet. I have this one picked out to buy in the fall. I think you saw my post on my Oriental Lilies back a few post ago, incase you didn’t here is the link. I see the verbena too. It looks great in a vase. Oh yes, I love that tall verbena and it loves my garden too! Gorgeous lilies, love the photos. Likewise! I enjoyed meeting you too! Yes, the classics are always hard to beat! 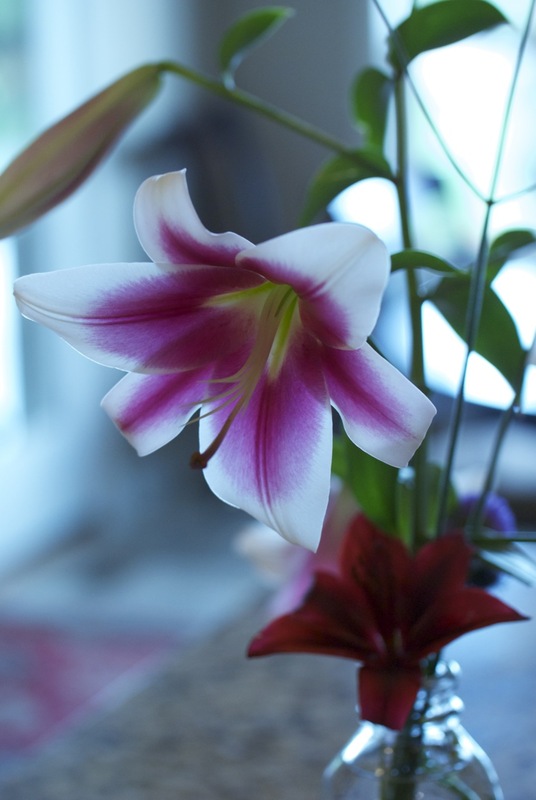 Hi Andrea – I love the shots of the lily you brought indoors. 🙂 so nice…. 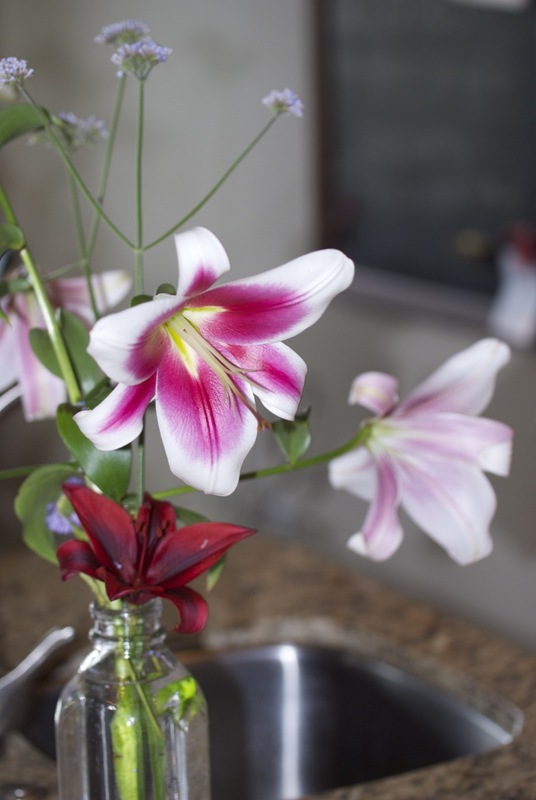 and I love lilies – but I might be slightly allergic to them when they are indoors – so I never bring them in. But I have a hearty cluster out front that has been there for a few years – and this year they were very late to bloom – and I was waiting…… ha! anyhow, the one in your photo – the silk road ones – whew – they may be some of the prettiest ones I have ever seen. I have gotten fonder of lilies over the last couple of years. My favorite oriental is ‘Casa Blanca’.